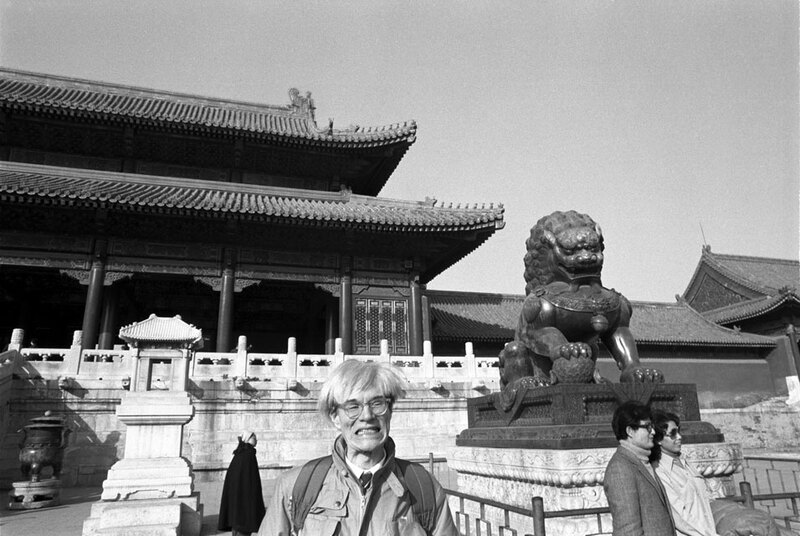 Christopher Makos, "Andy Warhol in China". ©Christopher Makos. HAMBURG.- The Flo Peters Gallery starts into the new year with a group exhibition of the highest quality. Under the name Three! the Gallery presents the all American photographers Christopher Makos, Paul Solberg and Vera Mercer. On show will be Polaroids and Photographs by Man Ray-student and Andy Warhol-companion Christopher Makos, as well as colour photographs from Paul Solberg´s cycle Bloom, Eight and Flower on the ground floor. The Galleries first floor will be dedicated to Vera Mercer´s photographic still live arrangements. Christopher Makos, born in 1948 in Massachussetts/USA and raised in California started to work as a Photographer in the 1970s. He was soon given the title Americas most modern photographer by non other than Andy Warhol. However the craft itself he learned under the skilful eye of Photography legend Man Ray in Paris, where he originally planned to study architecture. As Andy Warhol´s long-time life partner he quickly became  next to many others who portrayed the multimedia artist of postmodernism  his visual biographer. The countless pictures of his time together with Warhol and his (female) alter ego define the greater part of Makos´s work, parts of which are going to be shown at the exhibition. Makos work is often of an unmerciful and unpretentious nature. This picture language is especially recognisable within the 20 or so Polaroids  a medium unpretentious by its own definition  when Makos pushed the button as a finger was bleeding from a cut, when Andy Warhol was hiding behind an issue of Interview or when Marilyn Monroe appeared on the Television screen. Paul Solbergs work, however, juxtapositions itself in strong contrast to that of Makos. The Photographer, whom Christopher Makos on his part allegedly called Americas most modern photographer was born in 1969 in Minnesota/USA. He went through college studying Anthropology in Cape Town and Bophuthatswana/South Africa.. For the last ten years he and Christopher Makos have been working together as an artistic pair under the pseudonym The Hilton Brothers. Within these as well as Solbergs personal works the flower takes the central focus. Solbergs first publication Bloom from 2005 commits itself entirely to the flower and its still-life-like portrayal. Solberg manages to show the object in an ever-new perspective, avoiding any kind of kitsch and at the same never too afraid to show the finest of details: making the feel and texture of the surface visible and creating an almost three-dimensional mini-universe. Apart from works from the Bloom cycle the Gallery also shows Solbergs ethereous white flowers and expressive Flower-portraits from his Flower Project. Vera Mercers big format photographs are a jaw-dropping tribute to the old masters of still life Painting. With her surprisingly modern translation of this classic painting theme she replaces the conventional attributes of caducity with synonymous but seemingly new motives. Elegant drakes, exotics like shrimp, flowers and fruit arrangements as well as shiny hollowware and burning candles create ever-new compositions.. Vera Mercer was born in 1936 as a daughter to the renowned stage designer Franz Mertz. Staying faithful to the stage she first studied modern dance. During the time at the theatre she met her husband Daniel Spoerri, whom she followed to Paris in 1959. There they would soon become part of the artist group Nouveaux Réalistes. Some members of the renowned group hired her to photograph their works and performances. After her separation from Spoerri, Vera Mercer continued to work on commission, like for example the Theater Heute magazine. Vera Mercer has been working on her Still life Photography since 2004. The exhibition opens on February 10th and ends on March 20th, 2010.